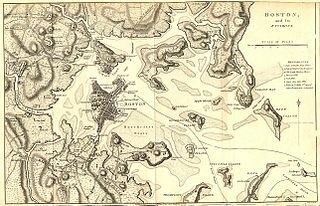 The Massachusetts Provincial Congress (1774–1780) was a provisional government created in the Province of Massachusetts Bay early in the American Revolution. 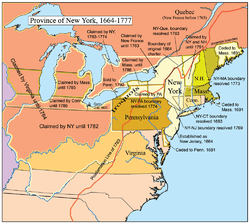 Based roughly on the terms of the colonial charter, it exercised de facto control over the rebellious portions of the province, and after the British withdrawal from Boston in March 1776, the entire province. When Massachusetts declared its independence in 1776, the Congress continued to govern under this arrangement for several years. Increasing calls for constitutional change led to a failed proposal for a constitution produced by the congress in 1778, and then a successful constitutional convention that produced a constitution for the state in 1780. The Provincial Congress came to an end with elections in October 1780. 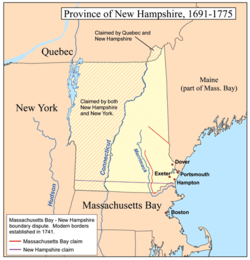 On May 20, 1774, the Parliament of Great Britain passed the Massachusetts Government Act in an attempt to better assert its authority in the often troublesome colony. In addition to annulling the provincial charter of Massachusetts, the act prescribed that effective August 1, the members of the Massachusetts Governor’s Council would no longer be elected by the provincial assembly, and would instead be appointed by the King and hold office at his pleasure. In October 1774, Governor Thomas Gage dissolved the provincial assembly, then meeting in Salem, under the terms of the Government Act. The members of the assembly met anyway, adjourning to Concord and organizing themselves as a Provincial Congress on October 7, 1774. With John Hancock as its president, this extralegal body became the de facto government of Massachusetts outside of Boston. It assumed all powers to rule the province, collect taxes, buy supplies, and raise a militia. Hancock sent Paul Revere to the First Continental Congress with the news that Massachusetts had established the first autonomous government of the Thirteen Colonies (The North Carolina Provincial Congress met earlier than the Massachusetts Congress, although it could be argued that North Carolina’s body did not establish an actual government until 1775). Until the advent of the American Revolutionary War the congress frequently moved its meeting site, because a number of its leaders (John Hancock and Samuel Adams among them) were liable to be arrested by British authorities. After the war began, the provincial congress established a number of committees to manage the rebel activity to the province, starting with the need to supply and arm the nascent Continental Army that besieged Boston after the April 1775 Battles of Lexington and Concord. Pursuant to recommendations of the Second Continental Congress, it in 1775 declared that a quorum of the council (which under the colonial charter acted as governor in the absence of both the governor and lieutenant governor) would be sufficient to make executive decisions. Although the assembly adjourned from time to time, the council remained in continuous session until the new state constitution was introduced in 1780. This arrangement was only marginally satisfactory, and led to calls for a proper constitution as early as 1776. By 1778 these calls had widened, particularly in Berkshire County, where a protest in May of that year prevented the Superior Court from sitting. These calls for change led to a failed proposal for a constitution produced by the congress in 1778, and then a successful constitutional convention that produced a constitution for the state in 1780. The provisional government came to an end with elections in October 1780.